Humans are derived from nature. Our evolutionary past dictates that we have a strong attraction to it, but the hustle and bustle of the city can often make us forget the connection we have with living world. Through its complex processes, nature provides us with a wide range of ecosystem services, which directly or indirectly contributes to our wellbeing. Those associated with aesthetic or spiritual benefits are referred to as cultural services. As students, we often find ourselves spending hours confined indoors, be it studying in the library or attending lectures. 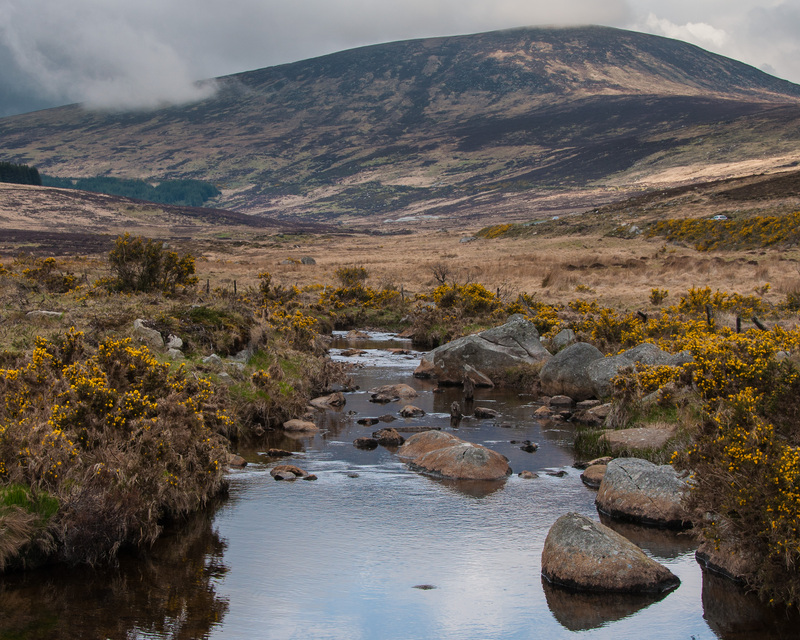 Although Irish weather remains unquestionably unpredictable, the arrival of spring means that we have already started to see notable improvements in the weather. This gives students the opportunity to gather en masse in outdoor locations on campus, either to have a quick bite or to have a few drinks with friends. Even when the weather is impeccable, some of us will no doubt think twice about taking some time off to simply enjoy the weather and spend some time outdoors, as we try to convince ourselves that we could do something more productive. However, it is worth noting that while on the surface, time spent outdoors may appear to be a waste of time, the opposite is in fact true. The time we spend outdoors is known to have benefits for our mental health. Groups such as the World Health Organisation (WHO) advocate the integration of green spaces in urban environments. Nature provides a variety of benefits, all of which combine to create a soothing effect to our mental state. One obvious benefit is reduced air and noise pollution, as green spaces tend to be somewhat isolated, and the presence of plants and soil absorb some of the chemicals which would otherwise be present in the air in urban environments. In relation to urban parks, we might even refer to them as the lungs of a city, in the same way that the Amazon rainforest is often referred to as the lungs of the earth due to its role in carbon sequestration on a global scale. Exercising outdoors has also been shown to provide short and long term health benefits. This highlights the importance of keeping active, be it with a sports club or on our own terms, even as exams approach. Indeed, it is worth considering that the immaterial benefits we get from spending time outdoors may actually improve our capacity to deal with college work. A study in 2010 by the University of Essex found that even small doses of outdoor “green” exercise had large benefits for self-esteem, and that this trend was particularly true in younger groups. Mood improvements, like self-esteem, were also positively correlated with outdoor exercise, and interestingly, both were further enhanced in green spaces with bodies of water. Where possible, it may even be worth avoiding crowded conditions in public transport and consider walking or cycling to college, as both have also been documented to be beneficial for mental wellbeing in addition to the obvious benefits to physical health. The stress-busting effects of nature are also well-documented. Unsurprisingly, the variety of benefits provided by spending time outdoors have also been shown to improve cognition and even enhance working memory in performing tasks. Nature has the potential to give students profound benefits in their daily lives, whether they realise it or not. With another academic year drawing to a close and pressure mounting up, it may be tempting to disregard study breaks and maximise the amount of time we spend in the library in the never-ending pursuit of productivity. However, given the importance of spending time in nature for our wellbeing, it must also be equally important in determining our capacity to deal with college work to the best of our ability. As such, we should aim to incorporate time outdoors in our lifestyles in one way or another. In nature, we can find a sense of tranquility which exists nowhere else. So whether it’s taking a walk at the local park, or enjoying the weather on the cricket pitch, perhaps the simplest antidote to college stress can be found before our very eyes, waiting only to be acknowledged.